The coast of Girona, also known as Costa Brava, is one of the most beautiful coastal destinations in the world. From Blanes to Portbou, we’ll find breath-taking small bays, precious little villages with fishing tradition and old Greek and medieval ruins. 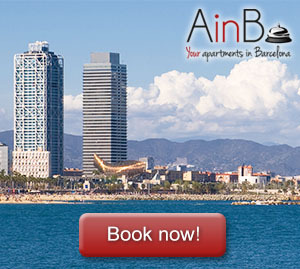 So, don’t hesitate to travel from Barcelona to Costa Brava. It’s a short drive and the effort is totally worth. 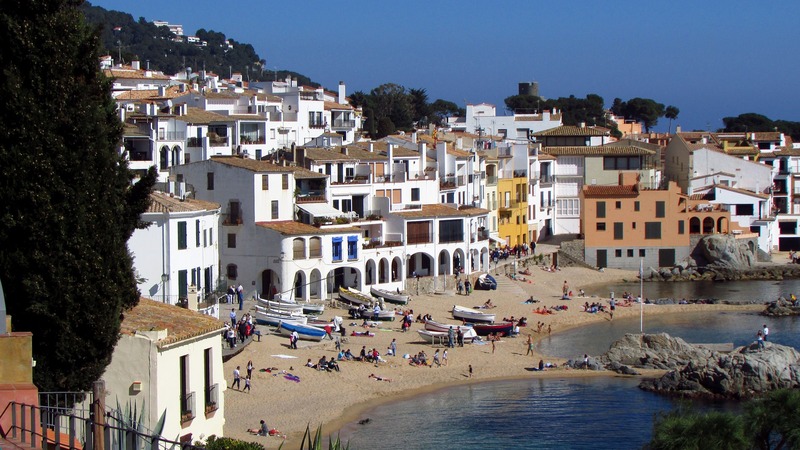 Here we provide a 3-4 days guide to visit the Costa Brava from Barcelona. We say goodbye to our loved bohemian apartment in El Born and we drive from Barcelona to Tossa de Mar. In just one hour from Barcelona we’ll arrive at this wonderful medieval village with a big wall and a castle next to the beach. Some parts of the wall that surrounds all its perimeter were built in the 12th century, which makes Tossa de Mar not only a paradisiac coastal town, but also a historic and cultural monument. After visiting its old and beautiful streets and having a bath in the small bays in the surroundings, we can have a drink and charge our batteries for the next day. Our first stop in the second day of visiting Costa Brava will be Calella de Palafrugell: a small traditionally fishing town with white houses, narrow streets and small bays with turquoise waters. Its beauty has delighted and inspired many famous painters. After that, we continue our Costa Brava road trip and we go to Begur. Here we can enjoy of a walk through narrow pedestrian streets that drive us to the historical city centre, where five vigilance towers built in the 16th century remain intact. Thanks to those towers, Begur’s population was protected of pirates’ attacks. The last visit of the day, Pals, is just 10 minutes away driving from Begur. In Pals, we find another small town that will make us travel through time to medieval era. Next to the gothic church, we’ll see Torre de las Horas (Tower of the Hours), built in 11th century and main attraction of the village. The third day of our visit of the Costa Brava from Barcelona includes ancient Greek ruins, typical Catalan gastronomy and the jewel of the crown: Cadaqués. After around 30 minutes driving we’ll arrive at L’Escala, where we can enjoy of its traditional gastronomy with the best anchovies you have ever eaten. After that, Empúries ruins, where Greeks settled in the 4th century B.C, are waiting for us. In the 2nd century B.C. romans started the conquest of the peninsula in those lands too. Therefore, you can imagine all the historical and cultural signs we can find there. After our visit to L’Escala and Empúries, we’ll drive to Cadaqués, a traditional fishing village with and unbeatable charm. Famous painters such as Salvador Dalí, Pablo Picasso, Marcel Duchamp or Joan Miró couldn’t help falling in love with Cadaqués. Furthermore, we can visit Salvador Dalí’s house and try to understand a little bit more of the surrealistic Dalí’s world. 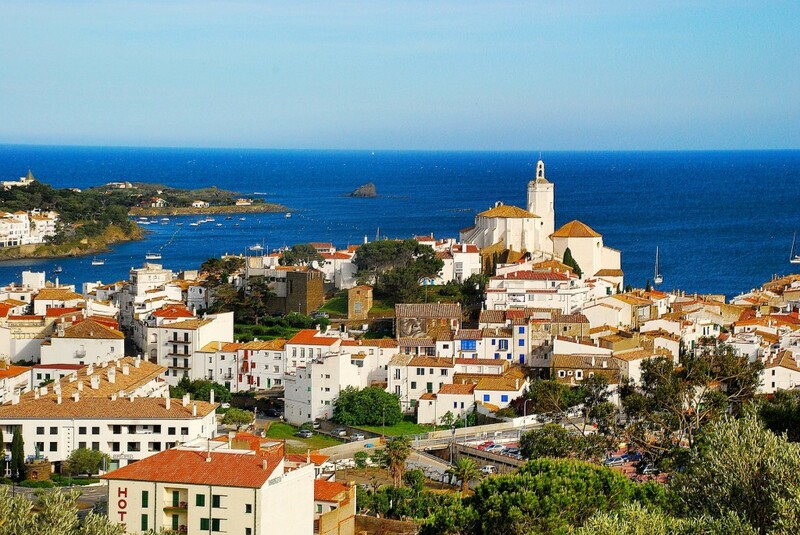 In our last day visiting the Costa Brava, we can relax and take a walk along the beautiful streets of Cadaqués enjoying of its incomparable sights and have a bath in its cinematographic coves with blue and clear waters. Finally, we’ll prepare a mix with our favourites songs and we’ll start our drive back to Barcelona after a unique Mediterranean experience we’ll never forget.